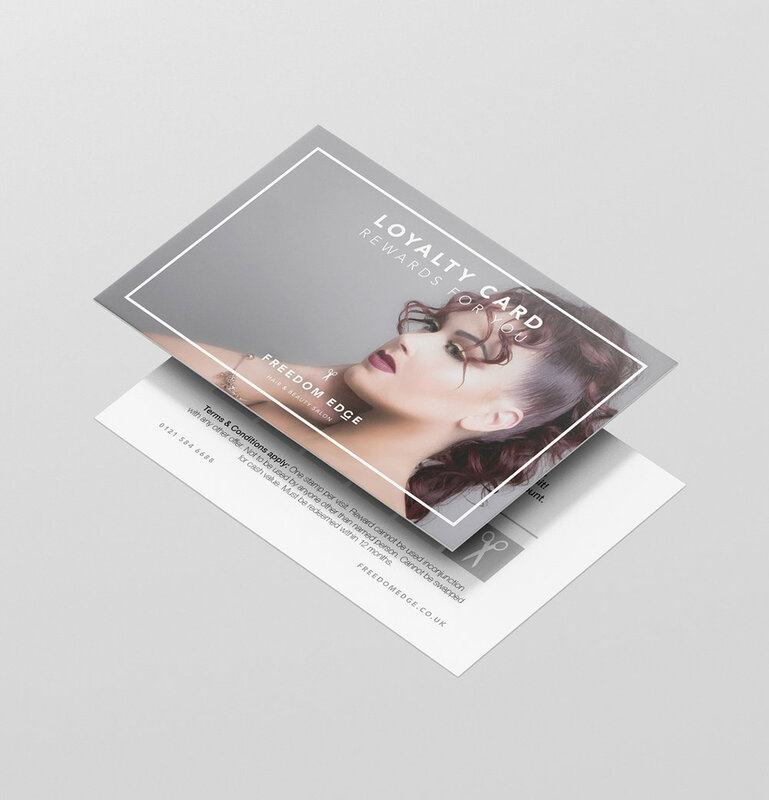 Freedom Edge were a start up business and needed to establish a brand identity that reflected their quality and elegant flair. In addition to that, they also needed print materials and a website to strengthen their credibility. We worked in tandem with Freedom Edge to develop their logo idea into a full brand identity. Several marketing strategies were devised to raise awareness in the local area including Facebook and Instagram adverts, flyer distribution and outdoor signage. Brand imagery was outsourced to Quirky Melon, a local photographer, to create the captivating imagery that showcases the salon team's creative style and ability. We built a simple website on the Squarespace platform; complimenting the strong brand imagery with full width banners and parallax that gently reveals more of each image as you scroll. You can take a look at the website here. We wrote engaging copy for the homepage so readers can get the essence of the brand within a matter of seconds. Understandably, being a start up business left the team unsure about how to market themselves and position themselves as experts in good quality haircare. In addition to that, being new to the area gives the added challenge of marketing to a brand new target audience. Following a discovery meeting, we set up a series of brainstorming sessions to flesh out a strong marketing plan. We provided constant support; coaching on how to create captivating Instagram content, teaching staff how to run offers and campaigns and advising on marketing choices.